The toothpaste aisle of your local drugstore can be quite confusing. Finding the best toothpastes for you isn’t as easy as it sounds. With so many options the task can be daunting. The amount of brands and types of toothpaste can make finding the right one almost impossible. So which toothpaste is right for you? Well, the answer to this question depends on your dental needs. 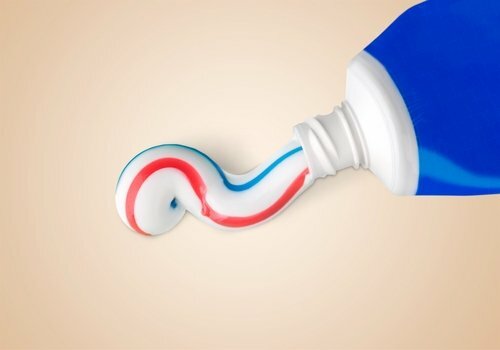 Toothpaste isn’t a one tube fits all product. If you have sensitive teeth, you may want toothpaste with enamel repair. If your teeth are stained, then a whitening toothpaste is probably the way to go. For those with perfect teeth, an anti-plaque toothpaste may be the best choice. There is even toothpaste for those that suffer from bad breath. Determining your dental needs is the first step in finding the best toothpaste for you. The American Dental Association has a list of the top products based on category. These are products that meet the strict standards set by the ADA for safety and effectiveness. All the products mentioned have the ADA Seal of Acceptance. All of these products are available at your local drug store and range in price from four to seven dollars. Colgate Total: The entire line of toothpaste from Colgate Total have polishing and bleaching agents. Crest Pro-Health: The full line of toothpaste from Crest Pro-Health have polishing and bleaching agents. All of these can be found in your local drugstore and range in price from four to eight dollars. No one wants bad breath, but that doesn’t mean that some people don’t suffer from it. Halitosis, the medical term for bad breath, is caused by some issues. The most common cause of bad breath is poor dental hygiene and is the third most common reason that people seek dental care. Food left behind in the mouth after eating breaks down into sulfur compounds and causes halitosis. Regular brushing and flossing, as well as mouthwash, can help with bad breath. Luckily for people who suffer from bad breath and those that have to stand close to them, there is toothpaste that can help. The best way to avoid pricey dental procedures, plaque buildup, and bad breath is regular brushing and flossing. People who take care of their teeth shouldn’t have a need for a specialty toothpaste. So, what toothpaste is right for someone with a healthy mouth? The answer is, whatever toothpaste you like. Any toothpaste with fluoride will do the trick. It all comes down to personal preference. Whether you choose a gel or paste, wintergreen or spearmint is entirely up to you. Asking you dentist for a recommendation may be a good idea. Although we all know that you can only get three out of four dentists to agree on anything. The important part is that you continue to brush twice a day and floss once a day. This will keep your beautiful bright smile intact.